Metal additive manufacturing has experienced an explosive growth across a range of industries, which has led to the emergence of more 3D printing metals systems and machines on the market. Direct Metal Laser Sintering (DMLS) is one of the most popular 3D printing technologies, as it delivers high-quality metal components. There are a number of leading players in the market that provide DMLS 3D printers for industrial applications — but can you be sure which DMLS machine is right for your needs? We’ll explore the range of DMLS machines available, along with their pros, cons and applications. But first, let’s delve into how Direct Metal Laser Sintering works. 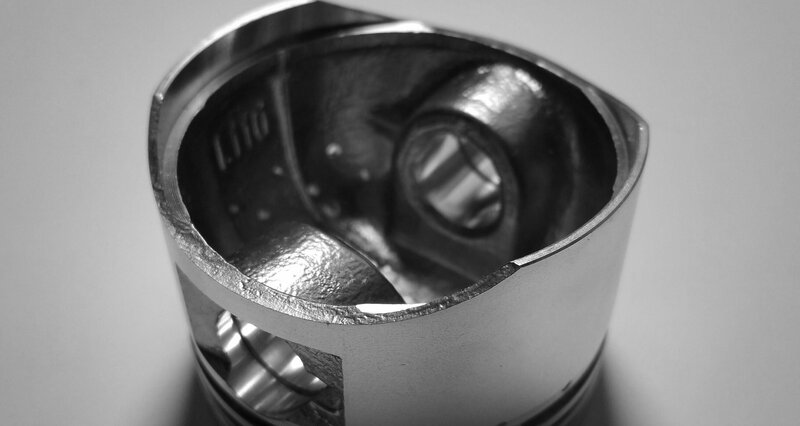 Direct Metal Laser Sintering is a high-end additive method for manufacturing metal parts, and works by applying a fine laser to fuse metal powder together in specified areas, layer by layer. Unlike laser melting technologies, DMLS sinters the metal material, and this means that any leftover powder can be reused. Check out our handy DMLS guide to find out more about the printing process. There are a number of companies specialising in industrial 3D printers that provide unique DMLS solutions. 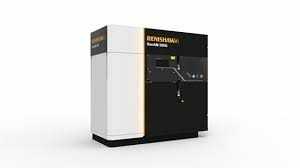 This 3D printing system is particularly optimised for medical applications, as it can produce dense parts with high level of accuracy — which is particularly ideal for medical and dental applications.
. Offering a build area of 250 mm x 250 mm x 300 mm, the RenAM250 can support a range of materials, including as titanium 6Al-4V Grade 23 and cobalt chrome alloy, which is well-suited to dental applications. A unique feature of the machine is that it’s equipped with the powder overflow containers. This means that the unused powder can be sifted in the container and then reused during the printing process. The RenAM400 constitutes a refined version of the AM250 model. Although the machine has the same build volume of 250 mm x 250 mm x 300 mm, it offers a more powerful laser, a reduced beam diameter of 70 µm and a larger safe change filter that helps with handling powder material. This system also offers a wider range of metal powder materials, including Ti6Al4V ELI, AlSi10Mg, stainless steel 316L, tool steels, nickel alloys and cobalt chromium alloy. The distinguishing feature of the RenAM 500Q is its multi-laser system. With four 500 W lasers the machine can reach a print speed of up to 150 cm3/hr. These features make the RenAM 500Q a beneficial solution for a range of industries from aerospace and automotive to medical and metallurgy. The ProX DMP 100 is an entry level metal 3D printer for the production of small, intricate metal parts. The ProX DMP 100 features a build envelope of 100 x 100 x 100 mm and has a great accuracy of around 50 μm. The system supports Stainless 17-4PH and cobalt chromium materials. The latter is particularly suited for producing dental prostheses, offering a high-quality surface finish and high precision. As the next 3D printing machine in the ProX DMP line, the ProX DMP has an extended build volume (140 x 140 x 125 mm) and can support a wider range of materials. 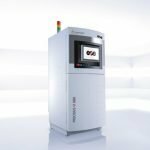 The ProX DMP 200 offers improved semiautomatic material loading and, compared to the DMP 100 model, allows faster and larger metal 3D printed parts to be printed. Sharing a commonalities with its “sister” machines, the ProX DMP 300 has something more to offer: an enlarged build envelope of 250 x 250 x 330 mm ideal for the industrial production of metal parts. Furthermore, the machine also features automatic material loading and recycling systems, making the production process cleaner and safer. 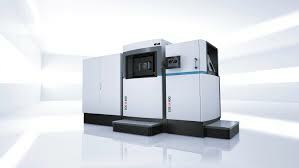 Additionally, the ProX DMP 300, like the other machines in this line, is equipped with a proprietary powder deposition system that allows for the production of objects with reduced support construction, leading to material savings. This metal 3D printer provides an upgraded version of the ProX DMP 300. With a range of improvements, the ProX DMP 320 offers a larger build area of 275 x 275 x 420 mm and an extended choice of compatible metal materials for the most demanding applications. The machine also features reduced argon gas use and quickly interchangeable build modules, enhancing general productivity. The ProX DMP 320 is designed for highly repeatable production of dense metal parts for custom dental prostheses, orthopaedic implants, tire moulds, aircraft parts, tooling, and many more. This entry level machine offers simple management and maintenance alongside high-quality production of metal parts and components with complex geometries. The EOS M100 is compatible with a variety of metal powders such as aluminium, maraging steel, high-grade steel, titanium, nickel and cobalt chrome alloys. However, as a starting level 3D printer, its maximum build size reaches 100 × 100 × 95 mm, suitable for small prints. With this 3D printer, EOS offers an industrial-scale solution for metal 3D printing. Thanks to a large building volume of 400 x 400 x 400 mm and a powerful 1 kW laser, the machine offers increased efficiency and shorter production times. Due to these specifications, it is also best suited for manufacturing large metal parts. Introduced in 2016, the EOS M400-4 is an even faster alternative to the EOS M400, as it features four highly precise 400 W lasers operating independently. And with a large 3D printing build volume of 400 x 400 x 400 mm and a high build rate of 100 cm³/h, it is suitable for industrial-scale production. Furthermore, the 3D printer has ideal build conditions with its new ClearFlow Technology responsible for safe gas management. With a high degree of automation, the EOS M400-4 system can potentially ensure process stability as well as high-quality parts. Developed in collaboration with Cooksongold and launched in 2014, the Precious M080 is a unique 3D printer that allows additive manufacturing with precious metals. The printer has a 80 × 80 × 95 mm build envelope and is ideal for direct production of small customised jewellery and watches. The Precious M080 is optimised for a wide range of precious metal powder alloys, such as gold, silver, platinum and palladium. 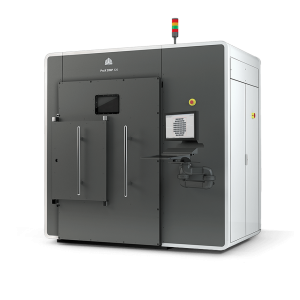 DMLS 3D printers are pushing the boundaries in additive manufacturing of high-quality, complex metal parts, and this list gives you a taster for the range of machines and applications that are available using this technology. With further advances in materials and systems, the technology will inevitably open new horizons for some of the most challenging applications. Interested in other AM machine solutions? Check out our guide to the top 5 industrial Binder Jetting machines.